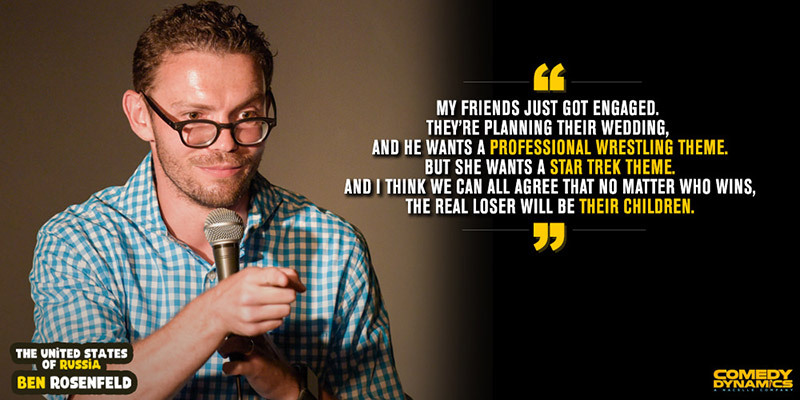 About Ben: Ben Rosenfeld creates smarter comedy for smarter people. 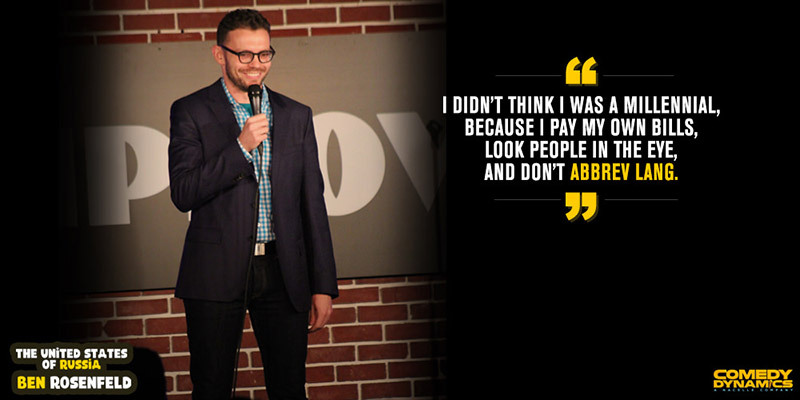 Ben’s comedy blends his family’s experience as Russian Jewish immigrants in America with his philosophical beliefs, political observations and unique characters. 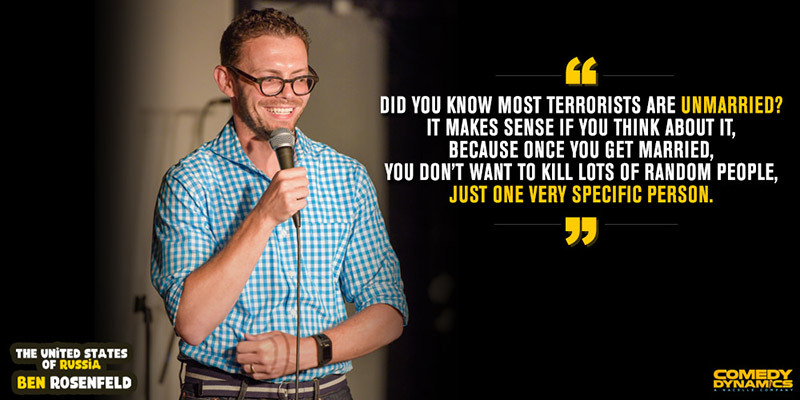 Ben has appeared on FOX’s Laughs, CBS This Morning, National Geographic’s Brain Games, Travel Channel’s Mysteries at the Museum, NPR and been featured as TimeOut New York’s Joke of the Week. 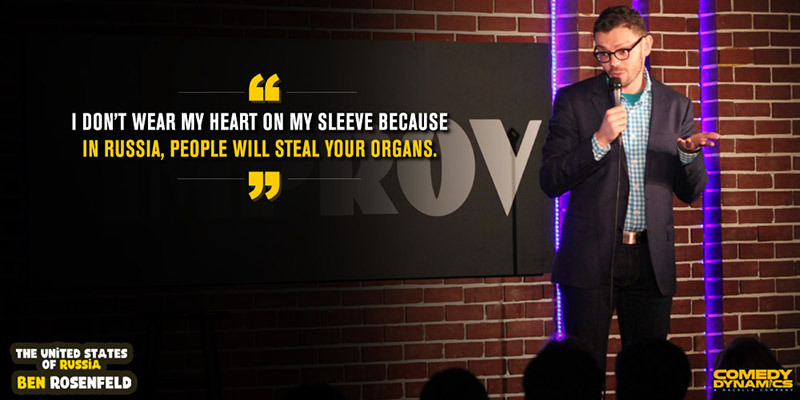 He has twice headlined at Caroline’s on Broadway, hosted at the Lincoln Center and performs nightly in New York City. 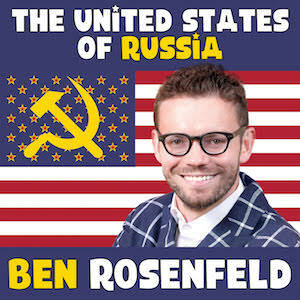 Ben’s three comedy albums, Neuro Comedy, The Russian Optimist and The United States of Russia are available on iTunes and all other digital retailers. Ben also created the illustrated coffee table book, Russian Optimism: Dark Nursery Rhymes To Cheer You Right Up, an Amazon Top 5 Best Seller in Humor.